Reading about the ODU expansion is like a window into another world. A world of planning, communicati​on and accountabil​ity. There is a better way people. Don’t forget it. There is always hope. [quote=“Gassman, post:20, topic:30275”]That huge stairway going to the upper level is pretty sweet. Looks good. 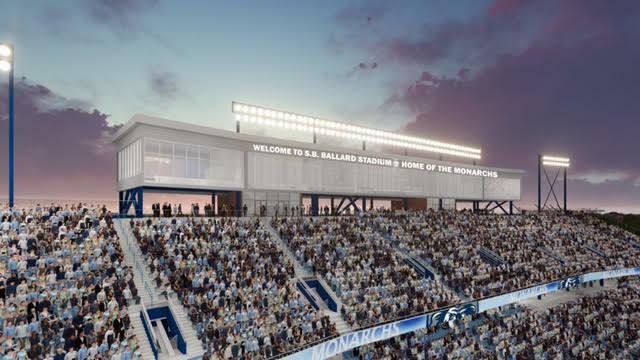 In spite of the original plan for a 23,000 seat stadium as well as a consultant calling for 25,000, seems like several factors causing ODU to scale back. Among them are decreasing enrollment at the school, numerous no-shows at games, as well as the national trend of falling attendance. And the cut back isn’t just stadium capacity but amenities as well. Of course, from what I’ve read, conveniences at the current facility are spartan at best and non-existent at worst. [quote=“Run49er, post:22, topic:30275”][quote=“Gassman, post:20, topic:30275”]That huge stairway going to the upper level is pretty sweet. Looks good. Went to the ODU game this year. Their stadium was not bad at all. Sure, I used a port-a-john and survived. Didn’t wait in line and the stadium was 90 percent full. It was not as nice as the Rich but much nicer than I would have imagined having read about it. Their tailgate areas were much better than ours by a long shot. Everything was right around the stadium, instead of sectioned off around the campus like ours. Really added to the atmosphere. School officials have asked the General Assembly for permission to spend $10 million more on renovating the 82-year-old facility. The new total for the project would be $65 million. 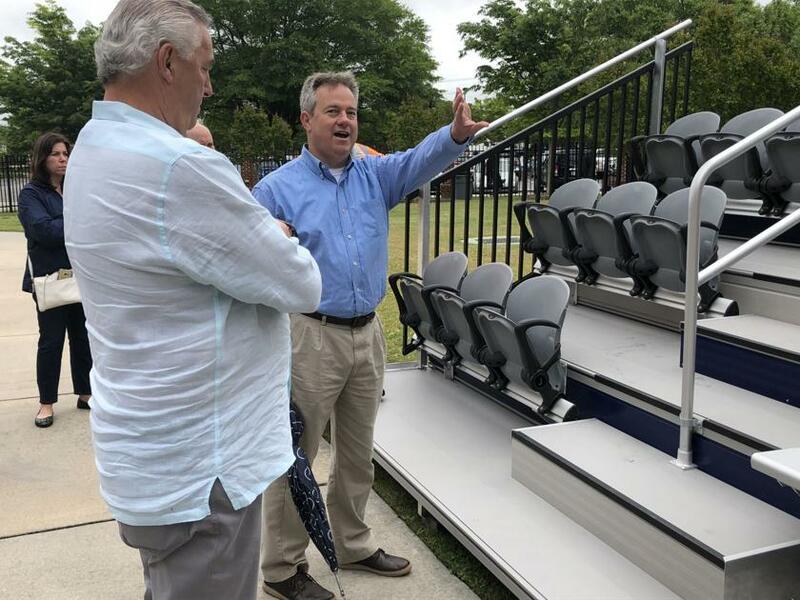 Columnist Harry Minium notes that State Sen. Frank Wagner says the request to spend $10 million more of its own money on the stadium is not controversial. 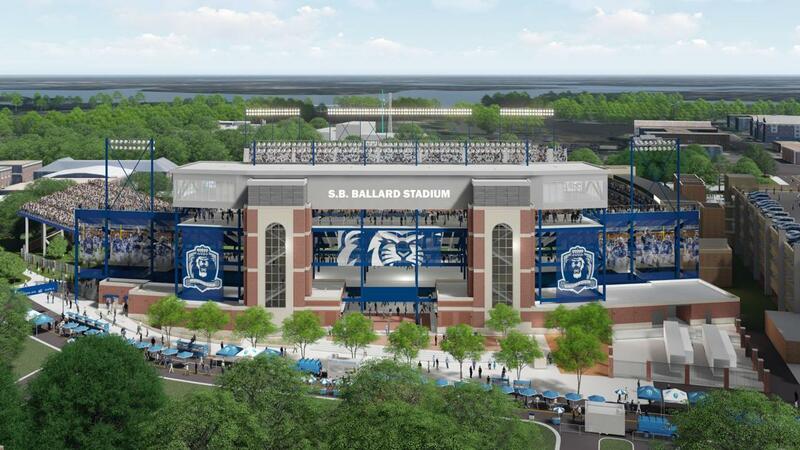 The $65 million reconstruction of ODU's football stadium will begin in earnest in November. ODU is expected to get state approval for an additional $2.5 million in construction costs this week. The east and west grandstands of the 82-year-old stadium will be razed beginning next week. 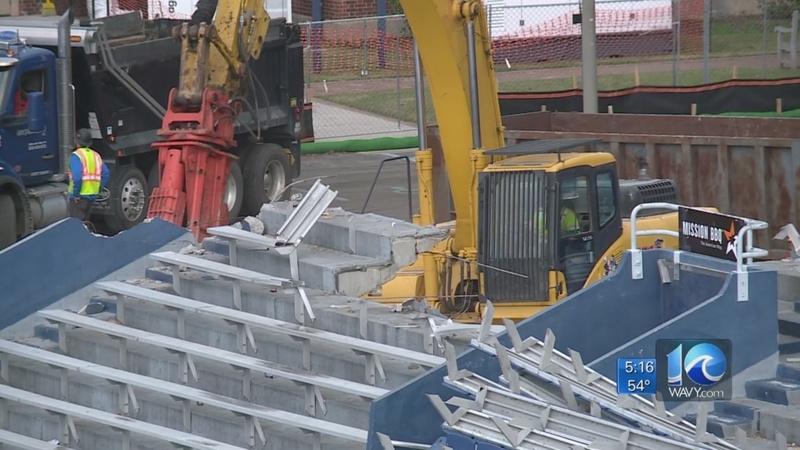 The first step in building a renovated stadium for Old Dominion University began Monday night among the first steps of demolition of the old stadium, 82-year-old, Foreman Field. Nice stadium, nice video. One thing I noticed is that they only showed clips of ODU winning. We need some of those, and then other things will fall into place. Take us to the promised land Coach Healy. Yeah. Show us beating odu last season.